One of the planet’s most uplifting musicians Michael Franti, and his band Spearhead, will be bringing their dynamic new music to The Croxton in Melbourne on Wednesday 28th September 2016 and the Metro Theatre in Sydney on Thursday 29th September 2016. Michael Franti has dedicated his life to spreading the joy of music and positivity to millions of people worldwide and will be celebrating the release of SOULROCKER (June, 2016) on this tour. The album is Michael Franti & Spearhead’s ninth studio album and debuted at #1 on the iTunes Alternative Album Chart. 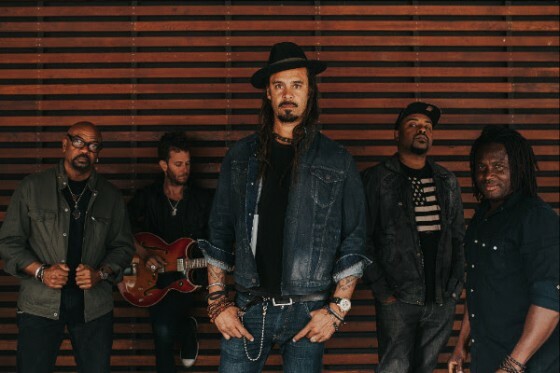 SOULROCKER delivers a fresh take to the group’s powerful hybrid of hip-hop, rock, folk, and reggae, and expands into the electronic music genre, fulfilling Franti’s mission of making impassioned music you can dance to. Michael Franti & Spearhead will be sharing their new music and good vibes in Australia this September off the back of an extensive U.S. tour. Previous PostLive Review : Adam Eckersley Band Live at Central Charlestown Leagues Club – July 23, 2016Next PostMaroochy Music and Visual Arts Festival (MMVAF) adds a stack of new artists!